No need to make an extra trip to buy brick pavers to weigh down your umbrella. Try the Blue Wave Santiago Set of 4 Cross-Base Umbrella Weights. 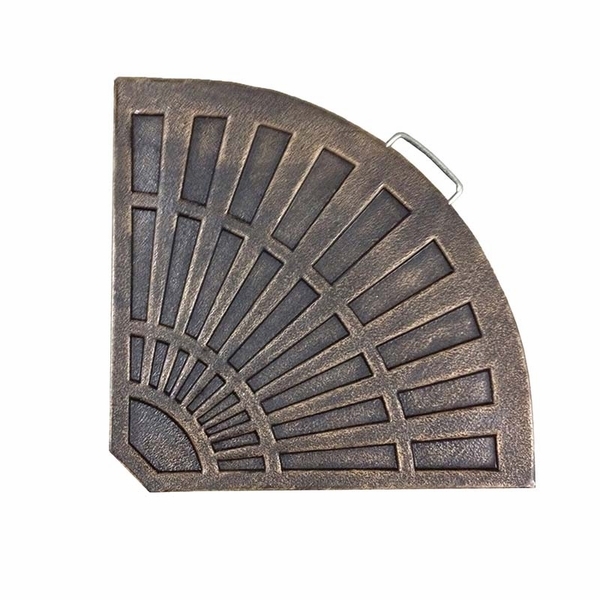 These rust proof antique black weights with convenient built in carry handles give you a professional finished look. 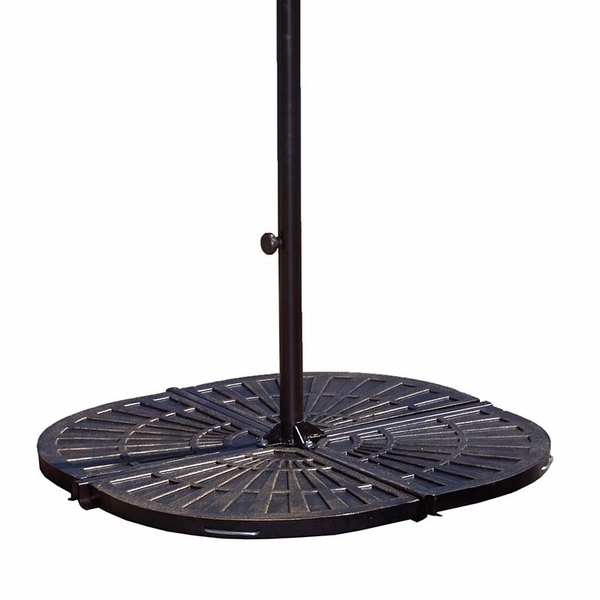 The 4 stylish fan shaped base weights conveniently sit inside the arms of the cross base firmly securing your umbrella base in position. 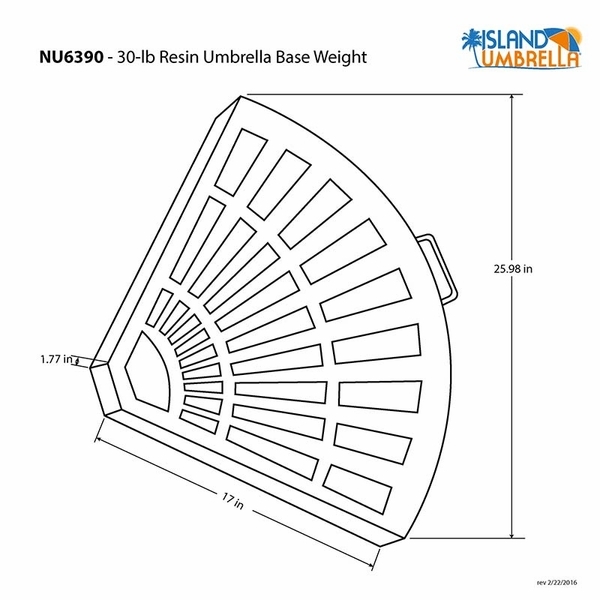 Made of rust free composite materials, the four 30-pound base weights equal a total of 120-pound total weight, securing your outdoor umbrella in windy conditions. 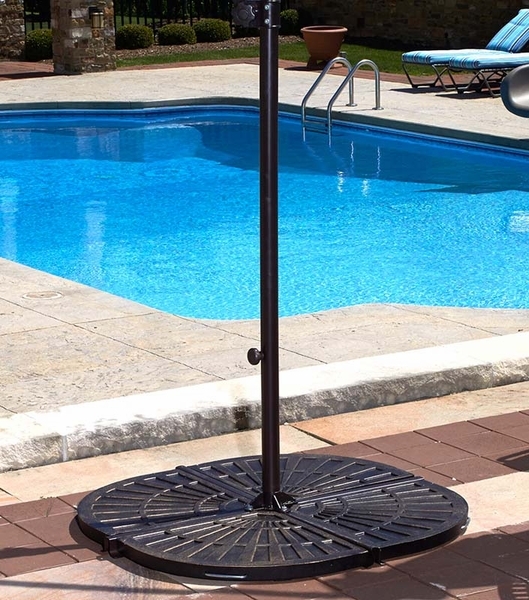 Enjoy the safety and serenity this cross-base umbrella weight provides on a hot summer day.